Chumbe offers some of the best snorkelling on the planet literally within wading distance of the lodge - the diversity of corals and fish life has to be seen to be believed! Fantastically designed eco-friendly bandas make for a truly memorable stay - they obviously don't offer any conventional luxuries but you'll have an unforgettable Robinson Crusoe experience! Absolute sense of peace and tranquility - if you can't relax here, you've got no hope! 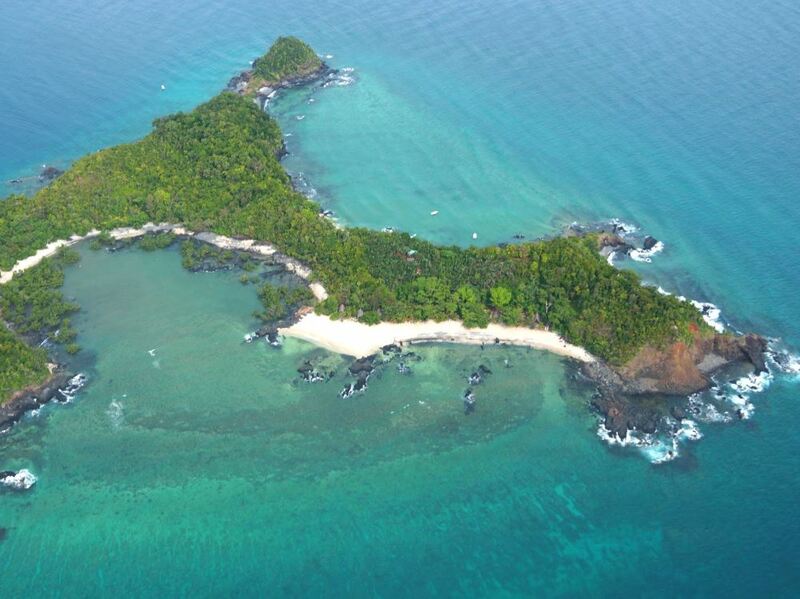 Only 14 people guests are ever allowed on the island at once, so you really do enjoy an exclusive experience at Chumbe! If you're generally paranoid about loos, Chumbe's famous compost toilets could present a challenge for you! If you are looking for some action or night life, you've definitely come to the wrong place! 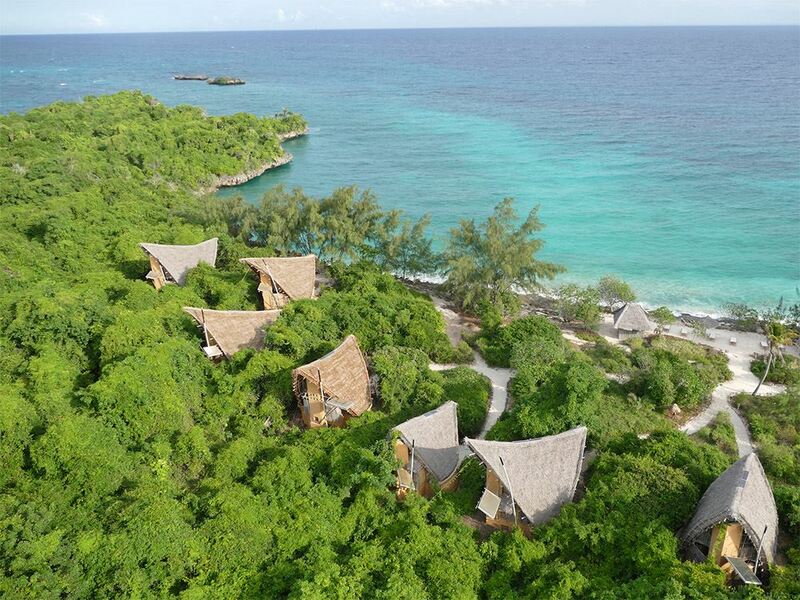 It’s difficult to put your finger on it exactly, but there is just something very special, almost magical, about Chumbe Island that leaves an indelible impression on just about all guests who stay there. If you’re looking for that archetypal Robinson Crusoe on a tropical island type experience, you’d be hard pressed to find a better place to be marooned than Chumbe. 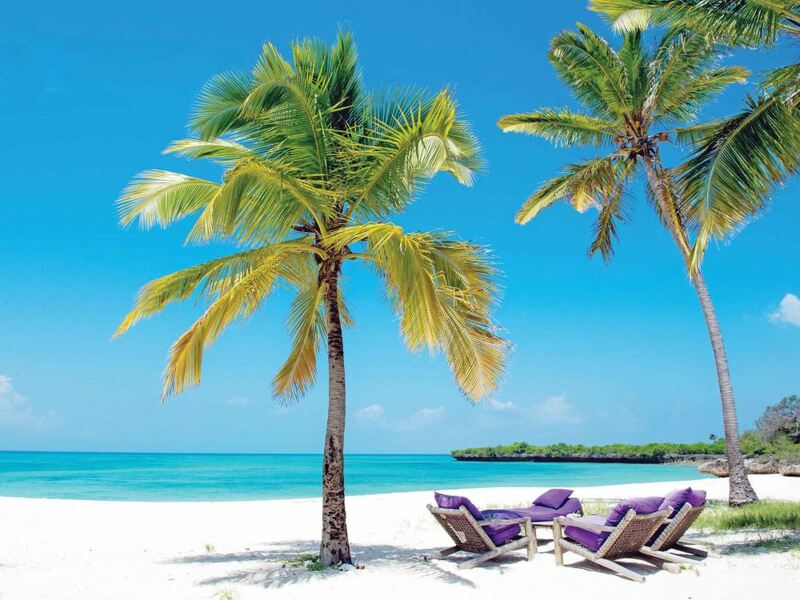 The magic starts with your transfer in a small boat from Zanzibar to this small island off the west coast – a half hour trip during which your anticipation of what lies ahead grows deliciously by the minute. After mooring in an attractive little cove, you wade ashore to a typically warm greeting from the lodge staff and introduced to your wonderfully characterful banda that will be home for the duration of your stay. When we arrived at Chumbe we had time just to throw on a costume before joining the rest of the guests for a late morning snorkel – any exploration of our charming room would have to wait a while longer. We had heard that Chumbe offers arguably the best snorkelling on the entire East African coast, but the reality was if anything even better than our high expectations – a magnificent kaleidoscope of pristine hard and soft corals teeming with brilliantly coloured reef fish! 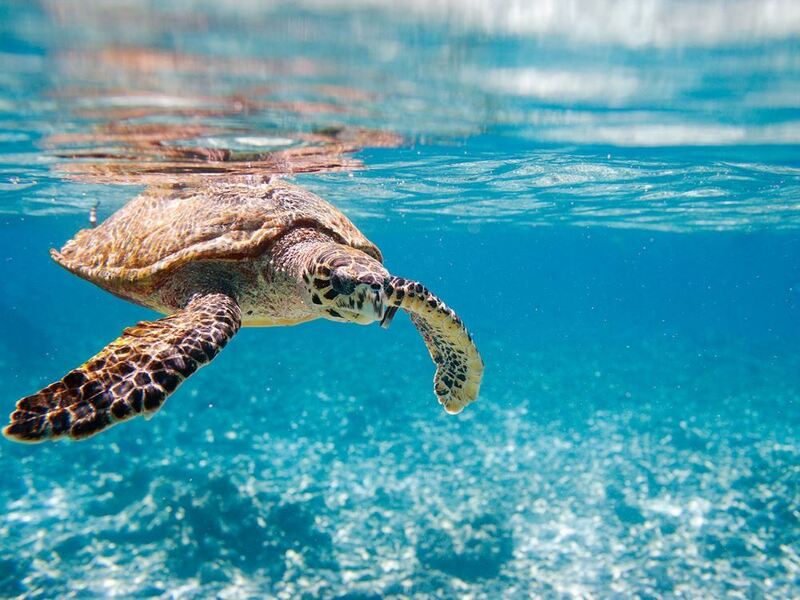 We were thrilled too to spot one of the turtles commonly seen at Chumbe gliding gracefully through the crystal clear water alongside us. Slightly less thrilling was the sunburn we suffered during our 90-minute snorkel – no longer were we puzzled by the t-shirts worn by fellow snorkeller guests already in residence! Consider yourself warned! Chumbe’s 7 charming bandas lie generously spaced in the coral rag forest within metres of the beach and connected by sandy pathways crisscrossed with the tracks of hermit crabs. They’re ingeniously designed to have as little impact as possible on the ecologically sensitive surroundings. They’re also unashamedly simple yet comfortable – and like most guests we were absolutely charmed by the unusual layout. The bandas are compact double-storied constructions – after rinsing the sand off your feet in the bowl of water placed conveniently at the entrance, a small flight of steps takes you into the open lower lounge area complete with comfortable hammock perfect for lounging about. At the rear is found the loo and shower area which is also largely open to the sea breezes. Climbing up a wooden ladder then takes you to the upstairs bedroom level – again simplicity is the key with the bed simply consisting of a very comfortable mattress on the floor under a voluminous mosquito net. The main attraction though has to the bedroom’s ingenious woven palm frond front wall – which in the blink off an eye can be lowered via a simple pulley system to unveil a jaw-droppingly gorgeous view of the ultramarine sea in front of your banda. It also acts as perhaps the ultimate natural air-conditioning system, with all the bandas cleverly aligned to take full advantage of the prevailing trade winds. We loved just lying in bed every morning admiring the spectacular view! Whilst the styling is superb, it’s the banda’s ingenious eco-friendly features that have won them so many accolades. Chief amongst these are the (in)famous composting toilets – essentially longdrops where you shovel in scoops of compost from the basket alongside to the loo to aid decomposition of waste and cut odours. It may sound fairly horrendous, but in reality the rubber seal on the toilet seat and the exposure to the ever present sea breeze mean that things never get too whiffy! The overall feel at Chumbe is very relaxed and casual, and that extends to the meals themselves which are presented in an honest and totally unpretentious way. The quality though is absolutely outstanding – in fact during the 2 nights we spent at Chumbe we enjoyed arguably the finest tasting food we had anywhere in our travels around Tanzania! It comes as no surprise then that they even have a Chumbe recipe book of their delicious fare available for guests to purchase. And the real wonder of it all is that all meals are prepared either over coals or gas as the island has no electricity! There is no formal pub as such. Instead you’ll find waiters miraculously appearing just as your Kilimanjaro is down to its last sip or two. 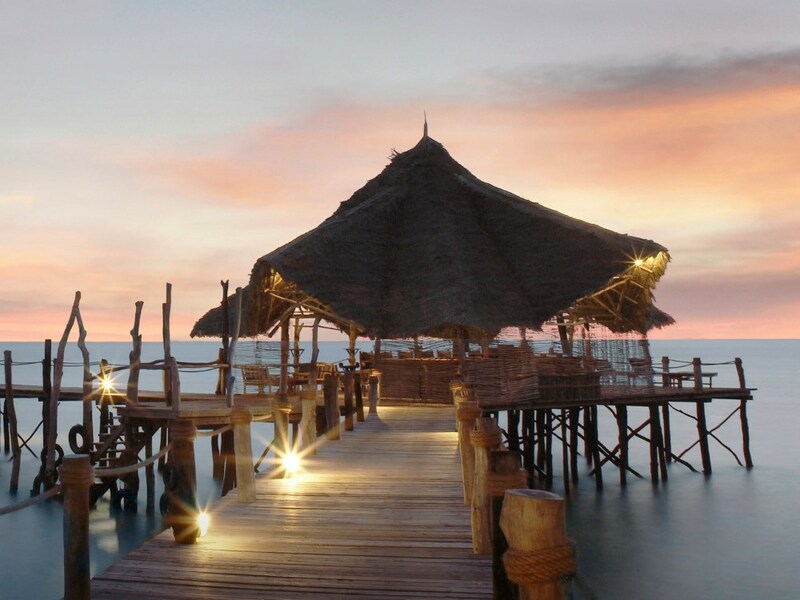 And best of all is that you can properly toast the sun setting spectacularly into the sea, as the lodge is on the west side of the island – our favourite spot was a suspended bench tucked away in a little alcove high in the thatched roof looking directly out over the sunset! Other than world-class snorkelling, what Chumbe offers in abundance is pure and simple relaxation. You’ll no doubt climb the winding staircase to enjoy the stunning view from the top of the lighthouse and go on one of the informative guided forest walks – for the rest though your time is likely to be spent just chilling with a good book in the hammock on your verandah, enjoying a massage, suntanning on the small beach, or perhaps just sleeping off one of the delicious meals regularly served up by the lodge – and best of all you can relax in the knowledge that with Chumbe’s impeccable eco-credentials your stay is ultimately benefiting rather than harming the cause.